Last May 6-7, The Vancouver Infectious Diseases Centre had the privilege to be a part of the 7th Annual Gathering Wisdom for a Shared Journey forum at the Hyatt Regency Vancouver hotel. 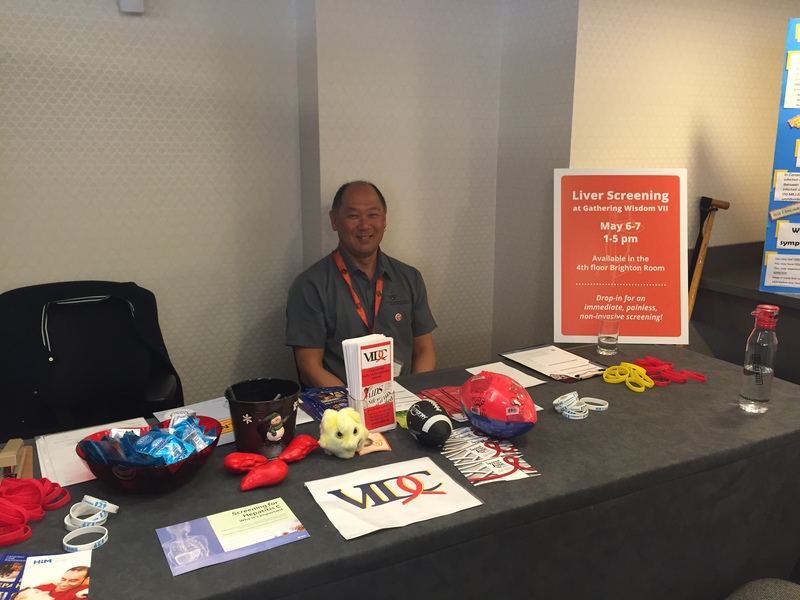 As part of the event, they had a Health Screening room set up with screening stations for blood pressure, glucose level, tuberculosis (TB), and liver health. 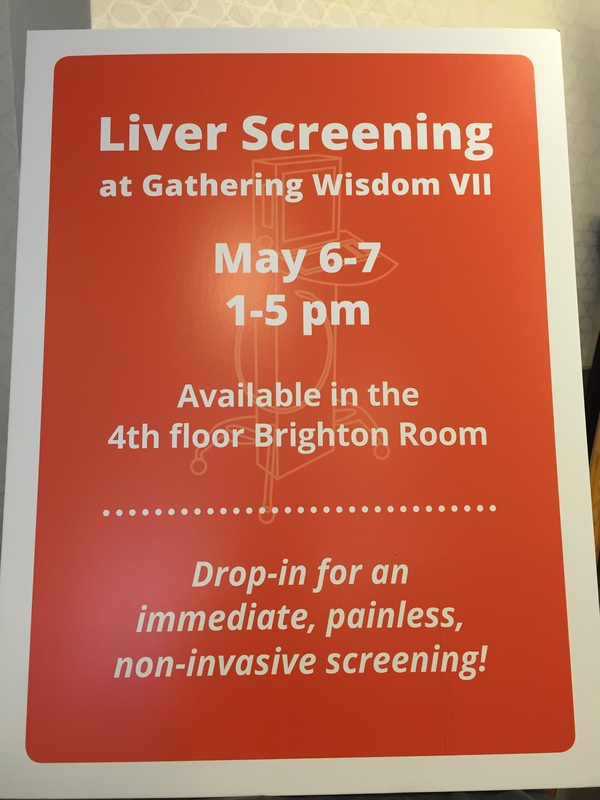 We came in with our FibroScan® machine and was greeted by very friendly First Nations Health Authority (FNHA) staff with a full two-day list (and quite a huge waiting list) of people interested in getting their liver tested — there was no time to waste! This sign says it all. The FNHA did a great job with the promotional materials. There was no lull time as we screened people one after the other. Everyone was very excited to find out about the machine (and about their liver health too, I’m sure). 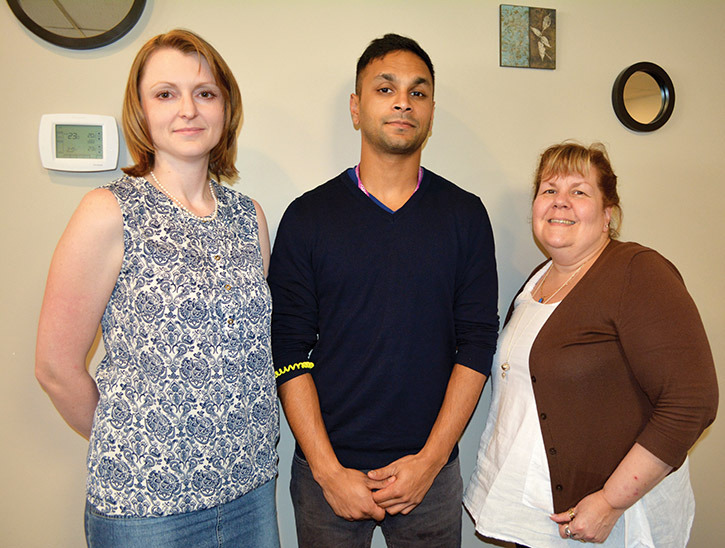 As part of our team, we had our HCV Nurse Shawn Sharma, RN BSN administer the screening and Dr. Alexandra King MD, FRCPC consulting with the patients about the results. Overall, it was such a great experience being part of the forum. The energy from everyone working together to improve the health and wellness of the First Nation communities was simply surreal! Meet Heppy! 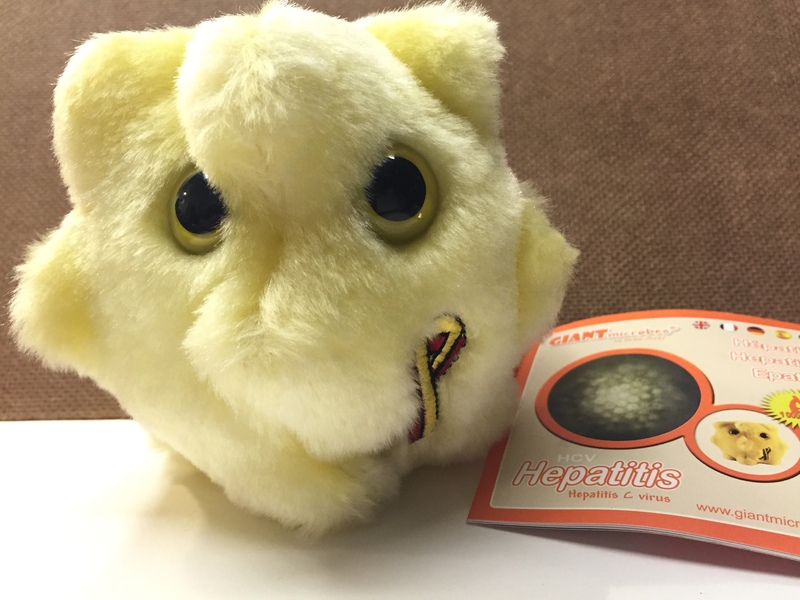 The Giant Microbes depiction of what the Hepatitis C Virus looks like — if it were a cute plush toy a million times its actual size. Our registration booth set up with Brian from FNHA. Contact Information on our poster, with our “HEP C? 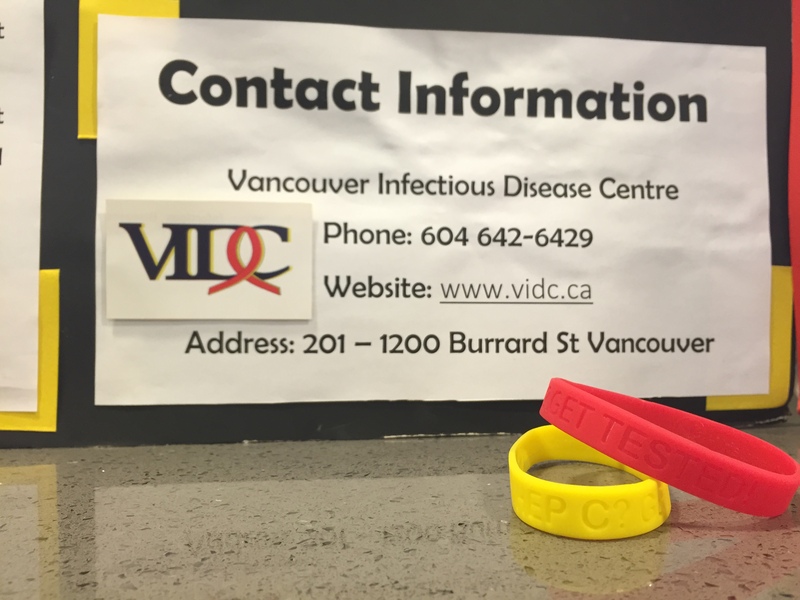 GET TESTED!” wristbands. Special thanks to Daryl Luster from the Pacific Hepatitis C Network for the wristbands!